On the face of it, it is just another video game. 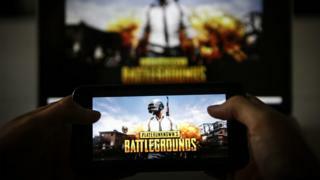 But PlayerUnknown's Battlegrounds (PUBG) - the rival to Fortnite which has taken India by storm - is now getting people arrested as authorities try to crack down on a game they believe is becoming a danger to those who play it. Supreet Aneja looks at why has got so many hooked. "Is he a PUBG player?" India's Prime Minister Narendra Modi quipped when a worried mother raised concerns over her son's obsession with online gaming at a student event organised in the capital Delhi a couple of months ago. His question prompted laughter from the crowd: after all, everyone has heard of PlayerUnknown's Battlegrounds (PUBG), the online multiplayer game, which has been grabbing headlines across the country in recent months. "It is leading to a violent attitude among young people," the ban notification explains. Meanwhile, officials in the western state of Goa, who have called for their own law to curb PUBG, denounced it as a "demon in every house" following a series of shocking stories. They included reports of an 18-year-old boy from Mumbai city who allegedly committed suicide a few weeks ago because he couldn't get a smartphone that supported the popular game, while other stories tell of bullying, theft and self-harm. But are their concerns justified - or is this just hysteria? But the game's map decreases in size every few minutes, forcing survivors to relocate to tighter areas. The last player or team standing wins. Lokesh Suji, director of the E-Sports Federation of India, said the low prices of both smartphones and data have fuelled the game's popularity. "Fortnite, a rival game, failed to launch on Android when PUBG did, which is an important factor," he added. "I end up missing classes to play multiple rounds of the game," student Himanshu Kumar admitted to the BBC, adding that he did find the game more addictive than other, similar products. 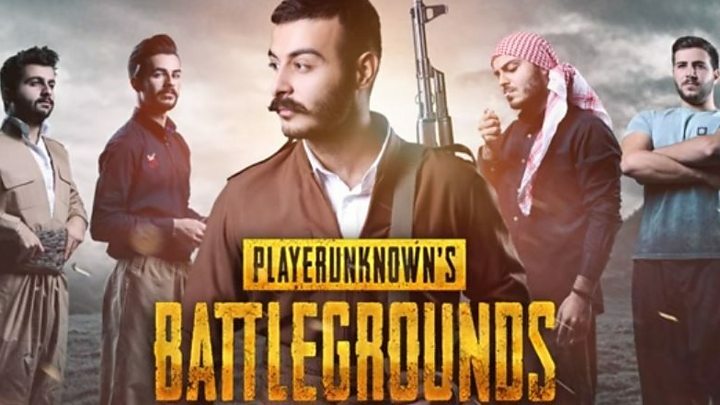 "This feature makes PUBG more interactive than a lot of other games, since you can actually make friends through playing it," Mr Kumar noted. "I have never seen such realistic graphics and a chatting feature on a mobile game. Such features are normally found on computer games, which require more time and effort," he said. The excitement around the game may have also prompted more interest India's burgeoning e-sports industry. "PUBG is one of the reasons why we've seen a surge in gaming which has helped our industry grow," Mr Suji, who runs the e-Sports Federation of India, said. "The human mind is designed in a way that it gets addicted to things that give us a sense of accomplishment or achievement, which is how you may feel while gaming," said Dr Rajiv Sharma. "But we can't blame or single out PUBG as the reason behind such addictive behaviour," he said. However, the addiction alone can cause disruption to someone's daily life. "Gaming addicts often end up playing games for hours every day," Dr Saha pointed out. Indeed, for people like Manish Sharma, who works for an IT company, PUBG becomes a vital - and time-consuming - part of their daily routine. Mr Sharma often spends three hours in the office once he's done with work to play the game - despite complaining of regular headaches. "I can postpone my office work but I can't miss playing PUBG," he said.